The opening ceremony of Danfoss extended ATEX Laboratory took place yesterday in Trévoux Cedex, France. A number of selected clients and Danfoss managers, coming from all over the world, were invited to the ceremony, that was followed by a guided tour of the laboratory and of the existing production factory. The growing demand for flammable refrigerants in the air conditioning and refrigeration industry increases the risk of explosion and toxicity. Danfoss decided to react and ride this trend by getting at the forefront of the development of sustainable cooling technologies. 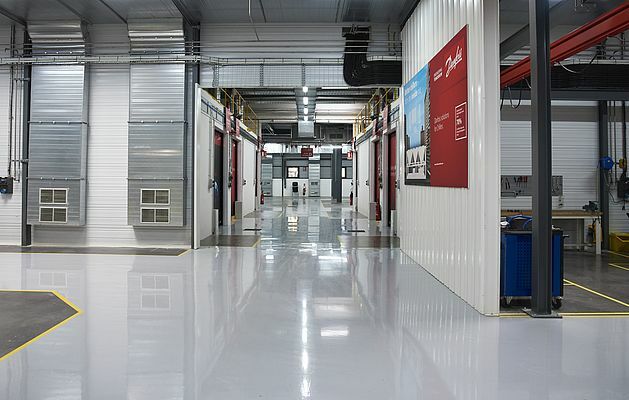 Guided by the motto “The transition for sustainable refrigerant starts here”, the investment in a new highly technological ATEX laboratory went into that direction. 3000 m2 of extension, 1500 kW of cooling capacity installed, 1200 kg of flammable refrigerants, 81 gas detectors, 3.2 km of stainless steel pipe, 16 million euro invested, 2 gas level alert, 100% safety target: These are just some figures to describe the exceptional features of the ATEX compressor laboratory, expanded six times its original size being now the first of this kind in Europe. Global transition to natural refrigerants – more sustainable but also more flammable - is current ‘’The refrigeration industry has started around 200 years ago with natural refrigerants and they had two problems: toxicity and flammability. Afterwards other refrigerants appeared, and we had the ozone depletion and global warming issues. So natural refrigerants are coming back again.” said Fabio Klein, Vice President Research and Development of Commercial Compressors at Danfoss. “The flammability is there, there is no chance to change it, but the difference is that now we know how to manage these refrigerants, and this is the main reason why we are here today, to show how Danfoss is able to manage flammable refrigerants thanks to its ATEX laboratory” Mr. Klein continues. Safety is among Danfoss top priorities and 100% safety is the target of the laboratory. 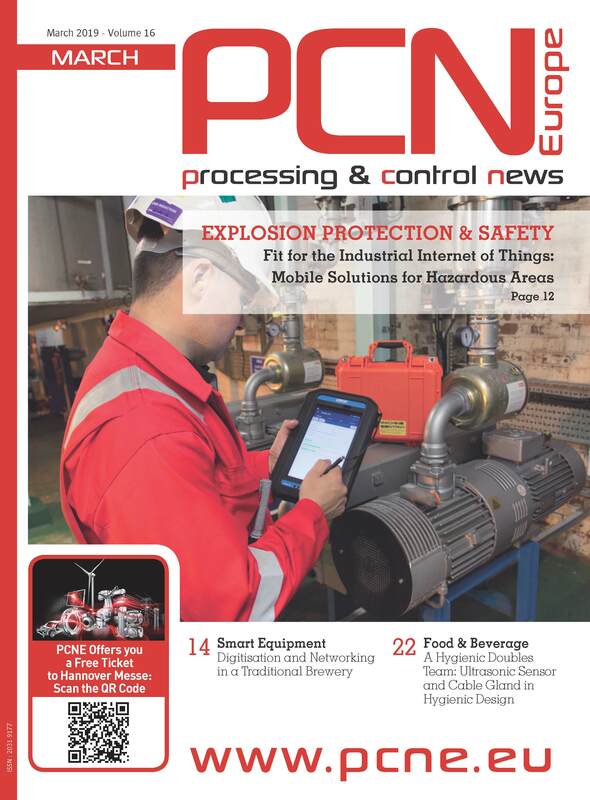 “In the laboratory, we have implemented what we call the ‘ATEX’ design, so many detection systems and workforces are in place to avoid any leak and accumulated gas in the area, so the latest safety standards are guaranteed. Safety for us also means to optimize our compressors in order to have an increased safety management capability’’ declared Noel Ryan, President of Danfoss Commercial Compressors. ith the ATEX laboratory, Danfoss aims to actively and positively impact on climate change fostering the transition from fossil fuels to a more renewable energy gerenation. "Danfoss is proud to be able to test its compressors with new refrigerants with a high capacity and to support its customers in the natural refrigerants transition. 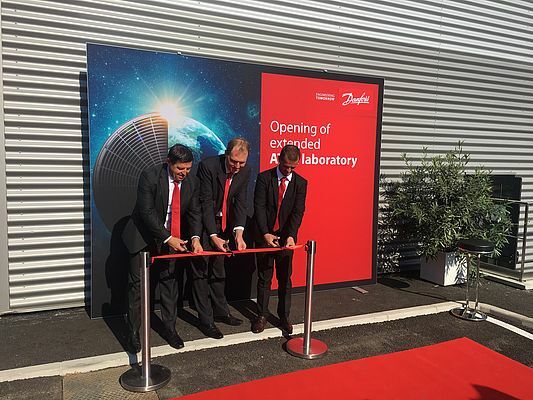 The laboratory it's a huge investment that makes us feel very proud'' said Jürgen Fischer, President of Danfoss Cooling. Handheld Optical Gas Imaging Camera for Detecting Methane, Hydrocarbons and VOCs. With increasing natural gas regulation globally, oil and gas producers are looking for ways to quickly detect fugitive emissions and to stop those leaks before they grow into huge fines.